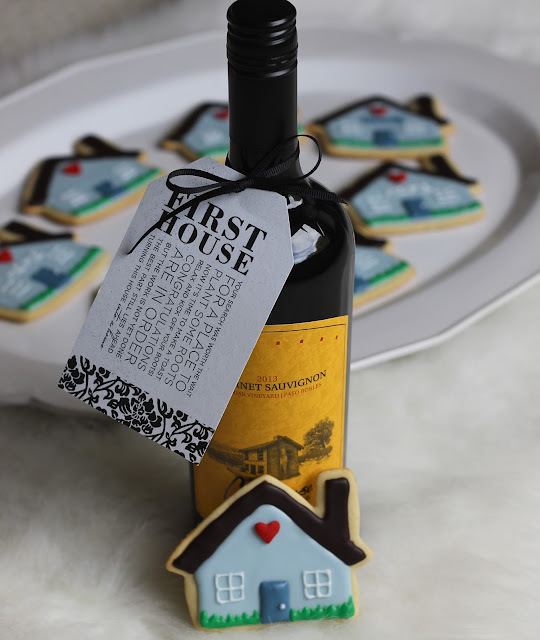 Sweets and Style Just Right: Our First House! Well, I've been a little MIA lately, but for good reason. A lot has been going on for us! Our wedding is 5 days away AND we closed on our first house! We moved last weekend and we have been trying to get everything situated before the wedding. Between wedding planning & moving I've been so busy! 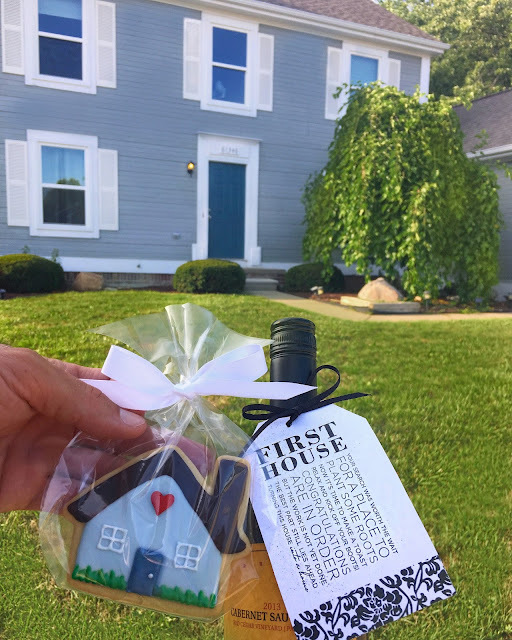 We closed on Friday and moved on Saturday and I surprised Zach with these cookies that look just like our house. At my bridal shower, my teacher friends got me a big basket of different wines for different occasions (wedding night, first NYE, first house, first baby, etc.) and we were so excited to be able to open our first bottle! 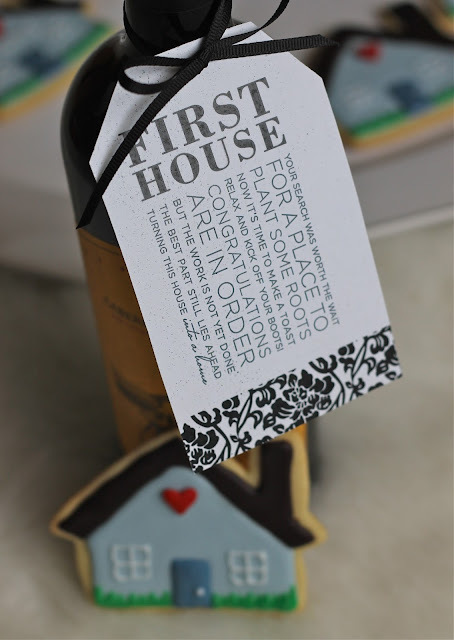 I love the little poems on each bottle - such a sweet gift idea! We are so excited about this new adventure! Last Wedding as a Ms. & Mr.